Til-Aqua’s fast growing Silver/Wildtype Natural Male Tilapia with a male ratio > 99%. This strain is ideal for harvest size over 800 gram for filleting or whole fish. 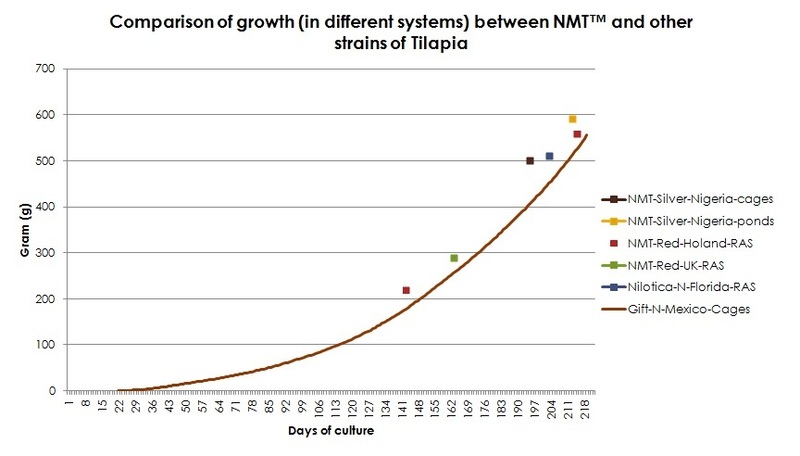 Til-Aqua’s Red Natural Male Tilapia with a male ration > 96%. This strain is ideal for harvest size of 350-500 gram (consumption size) for selling as whole fish. Performs very well in brackish and full-strength seawater. Our improved Red strain is now also suitable for filleting.